A motorcycle accident damaged Alvaro Blanco’s spinal cord and rendered the 25-year-old a tetraplegic. However, he’s been able to continue to play Gran Turismo Sport through the use of a special game controller called a Quadstick. This allows him to use his mouth to accelerate, brake and steer - and with impressive amounts of accuracy, too. He’s completely right - and Alvaro is proof. Motorsport has an extremely high barrier of entry and for many people, even competing at a grassroots level is unattainable. Sim racing and esports provides an affordable, competitive and increasingly realistic way for people to compete against each other, regardless of background. 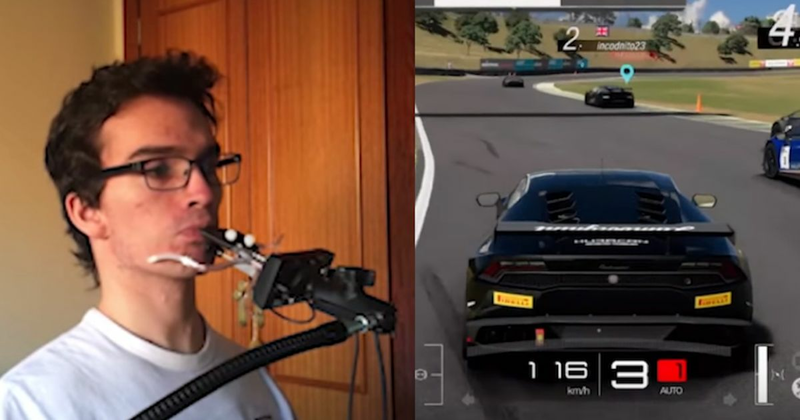 Alvaro’s videos show not only that it’s possible for him to continue to enjoy his passion, but that he can compete on a similar level to anyone in a racing esports arena.